Home » Should You Exchange? How much tax will an exchange save? The tax saved by an exchange is a mathematical calculation. Your accountant can assist in calculating the tax savings. How long do you intend to hold the replacement property? 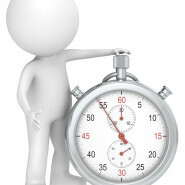 The length of time you intend to own replacement property is important. If you intend to sell within a relatively short time and do not intend to do another exchange, you will have to determine whether the time value of the money saved in taxes on the first exchange will offset the cost of doing the exchange. Assume an exchange will save $50,000 in tax and cost $1,000. You intend to sell the replacement property in two years and do not intend a second exchange. When the replacement property is sold the deferred tax will be due. If the $50,000 in saved tax earns 10% per year, $10,000 will be earned over two years (10% per year on $50,000). Earnings of $10,000 less the $1,000 cost of the exchange nets $9,000. Can you totally eliminate the tax (as opposed to simply deferring it) in the future? There are methods available to totally eliminate tax which has been deferred by your exchange. If you intend to hold replacement property for an extended period or want to discuss the ability to eliminate taxation, call us.